Parmesan the Reluctant Racehorse Coming Soon! Exciting News! 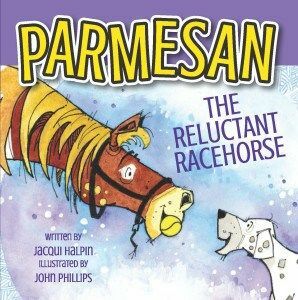 Jacqui’s first picture book, Parmesan the Reluctant Racehorse, illustrated by John Phillips, was published in September 2017 by Little Pink Dog Books.